Earlier this week I happened to have breakfast at The Balmoral with Eddie Russell, associate master distiller at Wild Turkey distillery and Kentucky Bourbon Hall of Famer, before heading to Voodoo Rooms for a Wild Turkey master class. Just my average Monday morning… yeah right. How did I come to find myself in such an extraordinary situation? Well, let me tell you a story about bourbon whiskey. Over the past few years, sales of bourbon whiskey have increased massively with several of the top bourbon distilleries reporting double digit growth year after year. There has been a huge rise in the number of young people drinking bourbon which has been supplemented by the ‘rediscovery’ of classic cocktails; Manhattans, Whiskey Sours, Old Fashioneds and the like. A new generation of drinkers want quality whiskey to sip neat or with ice, high end cocktail bars are springing up all over the place, mixologists are pushing the limits of molecular jiggery pokery, and it’s now generally perceived as ‘cool’ for a young guy to go into a bar and order something other than a pint of lager. “Great news!”, I hear you cry. 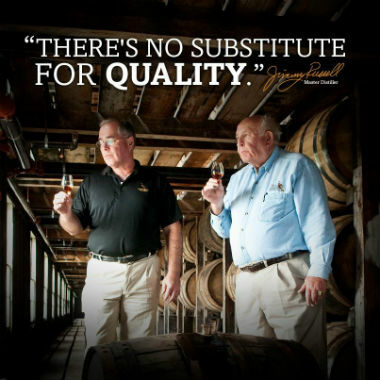 And you’d be right, except that this high demand for bourbon may lead to bourbon distilleries sacrificing quality for quantity in order to please the masses. Not at Wild Turkey. 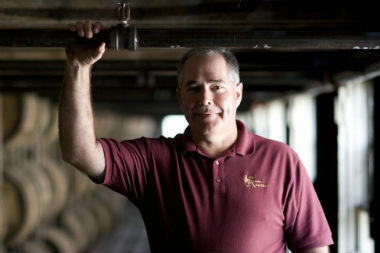 Eddie Russell is already in his 33rd year of making whiskey at Wild Turkey distillery in Kentucky, but he’s still a young slip of a lad compared to his father, and master distiller, Jimmy, who is a stone’s throw away from completing 60 years of service. Over breakfast, Eddie spoke at length about the trends he has seen in the bourbon industry over the years, the ebbs and flows of demand and the eternal cycle of history repeating itself. 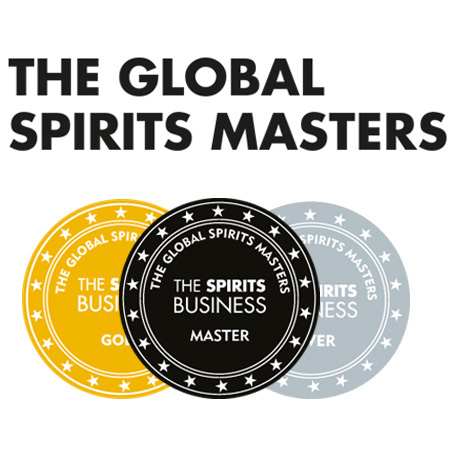 Despite the trends and fashions seen over the years, Eddie says Jimmy has stuck almost obsessively with time honoured tradition so as to always produce a quality spirit. For example, a high percentage of rye is included in the mash bill (the grain mixture) which gives the final whiskey a richer, more robust, and slightly spicier flavour compared to other bourbons. Distillation is also performed at much lower proofs than other whiskeys, which Eddie says prevents a lot of flavours from being ‘cooked off’. The casks used for maturation are taken from the fabled Ozark Mountains, known for producing high quality oak. These casks are then given the deepest, most expensive, number four char. This ‘alligator char’ allows the maturing whiskey to pull out a lot of flavour and colour from the wood in a relatively short period of time; most Wild Turkey goes on to be bottled between 6 and 8 years of age. Possibly one of the quirkier stories Eddie told concerned the yeast strain. The home grown yeast strain used during fermentation is the same strain that has been used for decades and decades. It’s kept in petri dishes and a batch is ‘grown up’ a day or two before it’s needed. For a long time, Jimmy reportedly kept a few petri dishes in the fridges at the distillery, in the fridge at his house and in the fridge at a relative’s house a few miles down the road. The thinking behind it was that if the distillery was to go up in flames, then there would still be some of this precious yeast strain available to make whiskey. Fair enough, if you ask me. 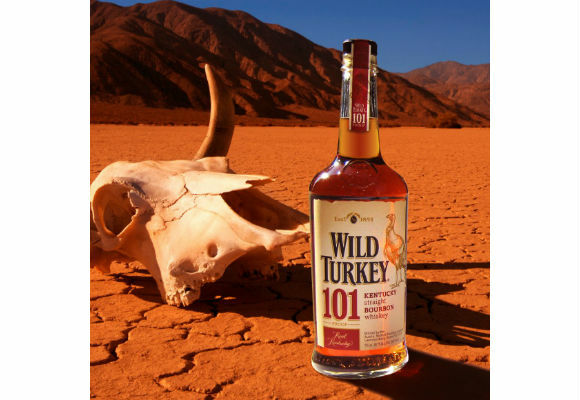 After we’d finished our hearty breakfast, Eddie and I headed to Voodoo Rooms where he held a tutored tasting consisting of Wild Turkey 101 proof, Wild Turkey 81 proof and American Honey. The richness and spiciness of the 101 proof (55.5% ABV to us Europeans) was the winner for me, and the sweetness of American Honey, a honey liqueur bottled at 35.5% ABV, made it a perfect alternative to a dessert wine. However, most of the chat surrounded the 81 proof, which Eddie produced many years ago specifically as a ‘mixing whisky’. Considering what I’ve just said, and the title of the article, you can perhaps guess where I’m going with this. Wild Turkey have launched a UK-wide cocktail competition inviting bartenders from across to country to compete for the title of UK Wild Turkey Champion 2013. Entries are open now and close on July 31st. Ten bartenders from each city (Edinburgh, Manchester, Nottingham, Bristol and London) will fight it out in the regional heats with the top two from each city going on to the national final, which will be held at The Liquorists in Manchester on September 2nd. 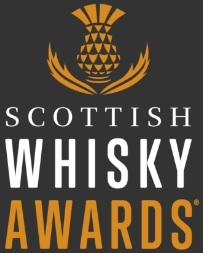 Judges include Simon Difford from Difford’s Guide, Martin Taylor, Wild Turkey UK Brand Ambassador, and Hugo Mills, UK Country Manager for Gruppo Campari. The winner and two runners up will each win a trip to the Wild Turkey distillery in Lawrenceburg, Kentucky. For T&Cs and info on how to enter the competition please click here. Good luck to all taking part! This entry was posted	on Wednesday, July 24th, 2013 at 10:53 am	and is filed under Events. You can follow any responses to this entry through the RSS 2.0 feed. Responses are currently closed, but you can trackback from your own site.